Extensive protection against fleas, ticks, intestinal worms, and heartworm. Rapidly kills fleas. Kills paralysis ticks for a full month. 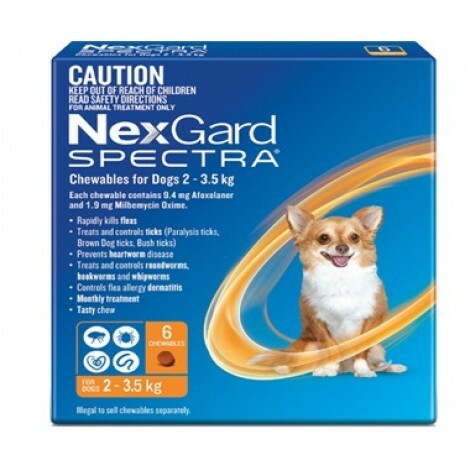 Protects against intestinal worms, and deadly heartworm. Oral treatment, not affected by bathing or swimming. Comes as a soft, beef-flavoured chew your dog will love. Daily tick searches are highly recommended for dogs in tick paralysis areas, even if a prevention has been used. Safety Information Safe for use in puppies over 2kg from 8 weeks of age.